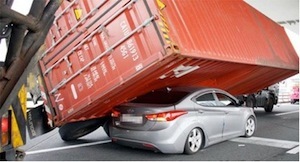 Santa Monica Truck Accident Injury Lawyer - Over 40 Years of Experience You Can Trust! Were You or a Loved One Injured in a Truck Accident or Car Accident in Santa Monica? Our Santa Monica truck accident injury attorneys and law firm provide outstanding personal injury legal services for the victims injured in the truck accidents, which include collisions with big rigs or 18 wheelers, and for the families and relatives of those killed in truck and other fatal accidents for wrongful death claims in Santa Monica, a city located in Los Angeles County, California. Please contact our truck accident injury attorneys and law office for a completely FREE CONSULTATION if you or anyone you know was involved in a truck accident or other personal injury claim in Santa Monica, Brentwood, Los Angeles or anywhere else in California. To find out more helpful information about truck accident injury claims in Santa Monica or to understand more about our personal injury law office, please visit our Truck Injury Accident Web Site. Santa Monica is bordered by the Pacific Palisades to its northwest, Brentwood to the north, Mar Vista to the east and Venice to the southeast on the Pacific Coast Highway. Santa Monica has many attractions to visit such as Third Street Promenade, which is a large shopping, dining and entertainment complex. Another main attraction is the Santa Monica Pier, which consists of more entertainment, an amusement park, and the restaurant based off the movie Forest Gump called Bubba Gump Shrimp Co. that specializes in seafood, especially shrimp. Santa Monica has also been home to many famous celebrities such as Jack Black, Charlie Chaplin, Ciara, Larry David, Robert Downey, Jr., Bob Dylan, Adam Goldberg, Brian Grazer, Anjelica Huston, June Lockhart, Sean Penn, Russell Peters, Christina Ricci, Nicole Scherzinger and Shirley Temple. 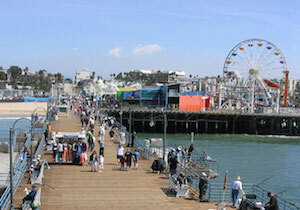 According to the 2010 U.S. Census, Santa Monica has a population of 89,736. Immediate help with medical care, specialists, property damage repair and settlement, prescriptions, medications, advances, etc. One of the most serious injuries that can be obtained from a truck accident is a rib fracture. A rib fracture may be a crack or a break in one or more bones on the rib cage, commonly caused by a car accident or a fall. A rib fracture may cause minor to severe pain, difficulties breathing, dizziness, headache and fatigue. A rib fracture that is severe may even injure the lungs by causing the lungs to collapse or puncture. If you or anyone you know sustained a rib fracture from any truck accident or other personal injury accident, please contact us now, including for referrals to doctors who may provide treatment without a request for payment until the claim is resolved, in Santa Monica, Los Angeles or anywhere in California. The Law Offices of Gary K. Walch, A Law Corp., provides you with the strong advocacy that you need when you or a loved one has gone through a devastating truck accident or other injury accident in Santa Monica or anywhere in California, and at the same time the compassion and understanding to make this process easier for you and your family. It is our duty to best represent your interests and aggressively pursue your rights. Our legal team handles accidents involving truck, car, train, bus, hit and run, pedestrian, uninsured motorist (UM), motorcycle, bicycle and much more. There is NO fee until you win!